Many long term travellers are always on the lookout for ways to earn some extra cash whilst on the road and enable them to continue travelling for longer. Teaching English can be a great way to contribute to a local community, earn money, and spend some time settled in one place and learning more about the local culture. It can also be perfect way to meet new people, and it can look good on your CV! 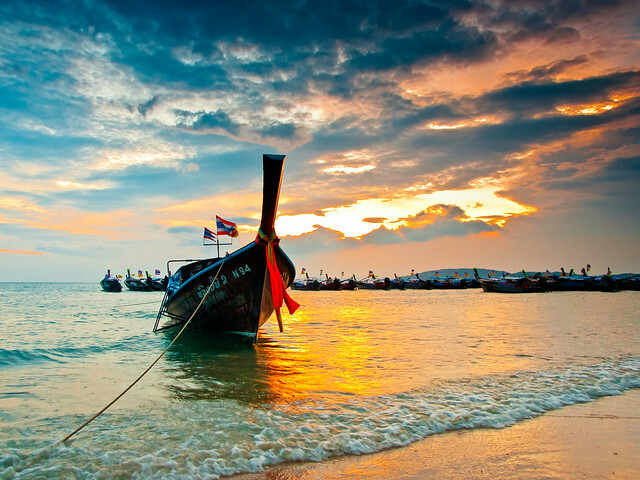 Thailand is a popular place for teaching English for several reasons. There are many jobs right across the country, from the big cities to the rural towns and villages. The cost of living Is low, and the pay is often very reasonable when taking into consideration the costs that you will pay for housing, utilities, food, and entertainment. The atmosphere is laid-back, and it is easy to feel relaxed even when working hard. Whilst there are many people working under the table in Thailand, if you want to do everything above board and legally there are some basic requirements for foreigners who want to teach English. To get a work permit and the appropriate visa, one must have a university degree. This can be in any subject, although some of the top institutions do ask for a teaching degree. A TEFL qualification, or similar, is not mandatory, although it can certainly help to secure your first job. It also helps to prepare you for work, so can be really useful. Some nationalities are listed as being native speakers, and so presumed to have a high standard of English proficiency. These include citizens of the USA, UK, Canada, Australia, and New Zealand. There are special rules for Filipinos, and non-native English speakers are required to take a proficiency test before being able to obtain a work permit. The listed nationalities recently went through some controversial changes, where there were issues with people from South Africa and Ireland not being included as accepted native speakers of English. This was remedied, although people of any nationality should make sure they check any requirements, as the rules are often changed. The overall teaching requirements may also be subject to change, so prospective applicants are always advised to check with immigration and the employment office before making any final plans. There are teaching jobs in Thailand in schools, language centres, and as an in-house instructor within various companies. It is possible to find positions teaching all ages of students, from kindergarten through to adults, as well as all ability levels. Class sizes within government schools are typically fairly large, with smaller class sizes in private and international schools. In language centres you may be teaching small classes or individual students one-on-one. There are opportunities for teaching business English as well as conducting industry specific courses. The terms generally run from November to March, and again from May to November, and there is often a large number of job advertisements in the weeks before new term dates. There are websites with job listings, including adjarn.com that specifically lists jobs in Thailand, and you can also see listings in the local press. If you are already in Thailand, it may also be worth popping into language centres, some of whom act as agencies for placing candidates in schools, and schools to enquire about vacancies. Speaking with expats can also be a good way to find out about work in the area.